Cisco Systems has announced its first-ever 400GbE switches. Expected to ship in the first half of 2019, these switches target hyperscale Web companies, cloud and service providers, and large enterprises. Cisco is rolling out four models, two each in the Nexus 3400 and Nexus 9000 lines. The Nexus 3400-S switches are built on a merchant silicon ASIC and target hyperscale customers. While Cisco declined to identify the manufacturer other than to confirm it’s not Broadcom, the chip’s specs align with the 12.8Tbps Teralynx chip from Innovium. The Nexus 9000 switches are built on Cisco’s own Cloud Scale ASIC. 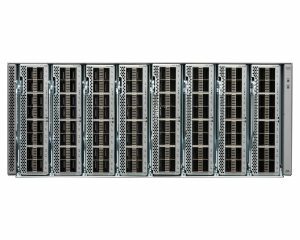 Cisco positions these switches for enterprise customers using ACI, Cisco’s data center virtualization platform. 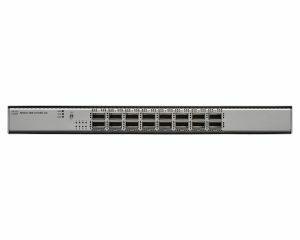 Cisco says the GX switches can export flow data at line rate for analytics and security applications. Cisco’s announcement comes just one week after Arista announced its own line of 400G switches, each of which uses the Tomahawk 3 ASIC. As with Cisco, Arista expects these switches to be in full production some time in the first half of 2019. For a more detailed discussion about Cisco’s new switches, check out Network Break episode 209.